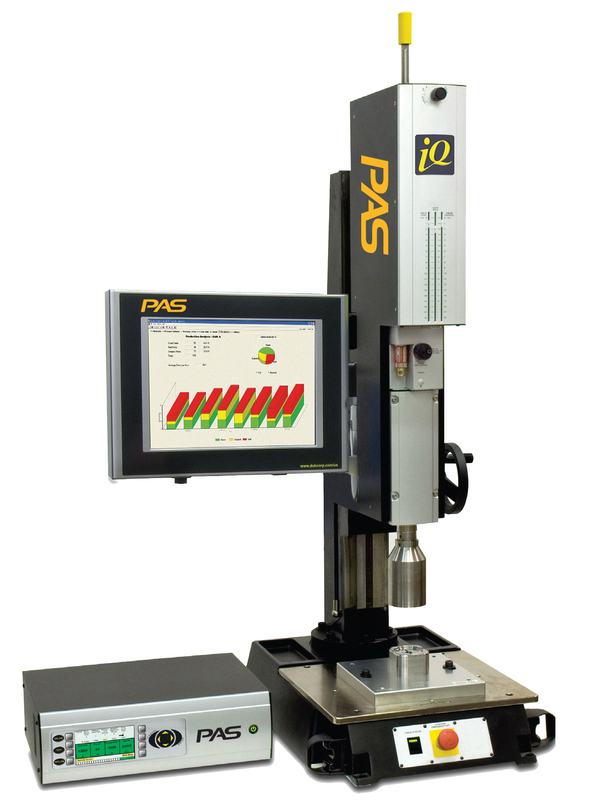 The most technologically advanced ultrasonic welding control features available today are found in PAS’s iQ Series equipment. Our patented, 100% digitally controlled generator, ultra-rigid press, coupled with the iQ Explorer user-interface provide superior accuracy and ease of use. The generators have new multi-core processor technology that allows them to operate at a processing rate of 0.5 milliseconds. iQ Explorer’s intuitive touch-screen graphical menu structure incorporates a one-page setup screen that makes welder operation easy to learn and program. Ethernet connectivity, wireless networking, and multiple USB ports are all options for weld and graph data storage. Over 25 programmable upper and lower process limits along with reference, weld graph logic are available for weld diagnostics and process consistency.